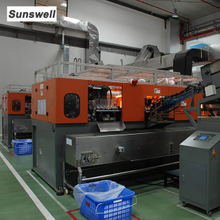 Find a great collection of automatic bottle blowing machines at Sunswell. Enjoy our most advanced auto PET bottle moulding machines applied in multiple industries with different models and esp. low energy consumption.